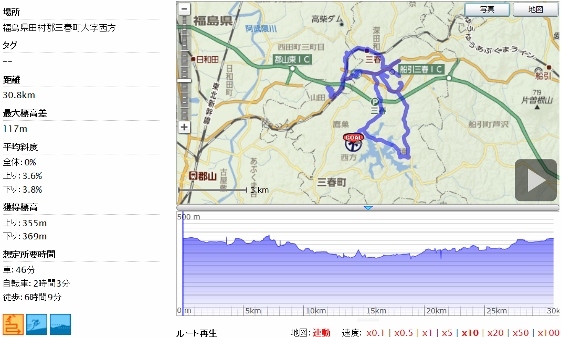 Today, I pedaled around in the Miharu Town. 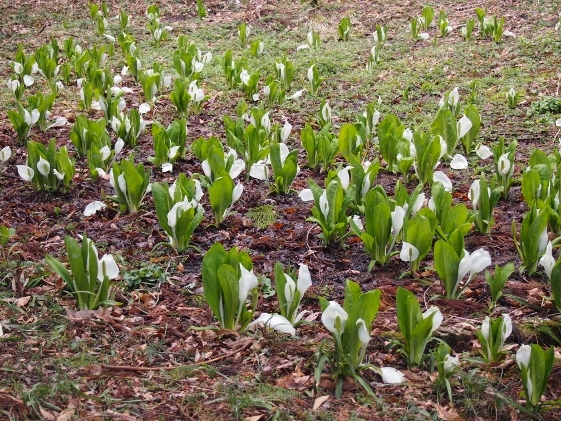 I found many weeping cherry trees, skunk cabbages, and dogtooth violets. 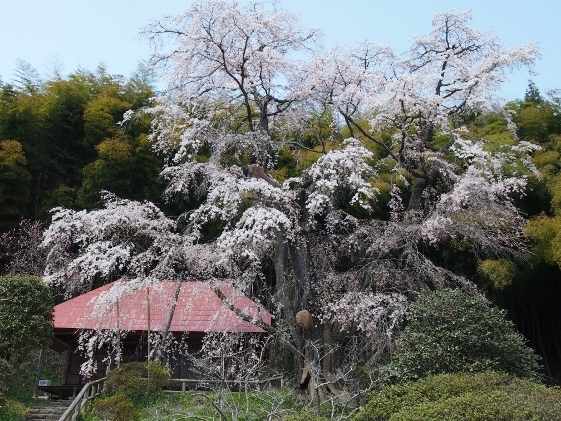 At first, views of Miharu Takizakura cherry tree in this morning are shown above. It was 50% bloom. 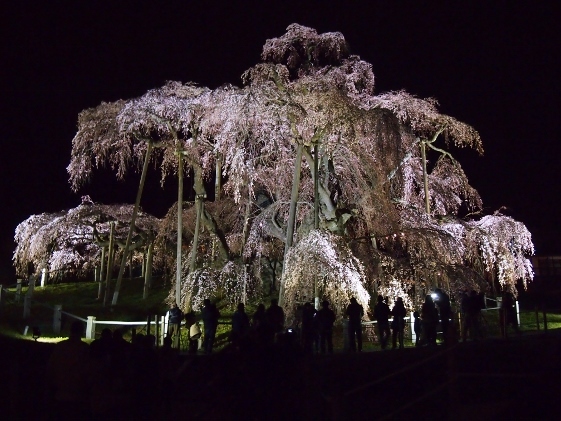 The tree showed gorgeous appearance which was worth more than a thousand years old. 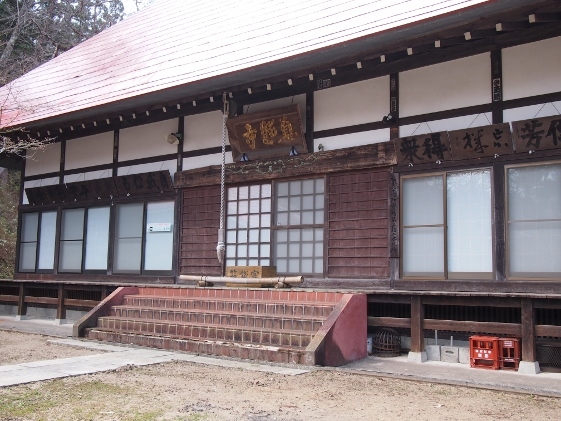 Shinshouji Temple was located near the central area of Miharu Town. 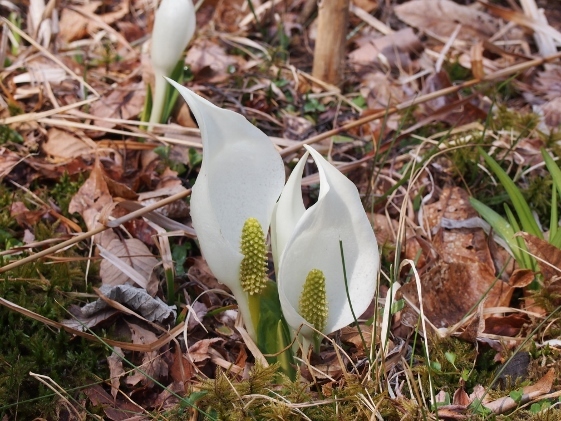 I could find many skunk cabbages in the damp ground behind the Temple as shown in the pictures above. 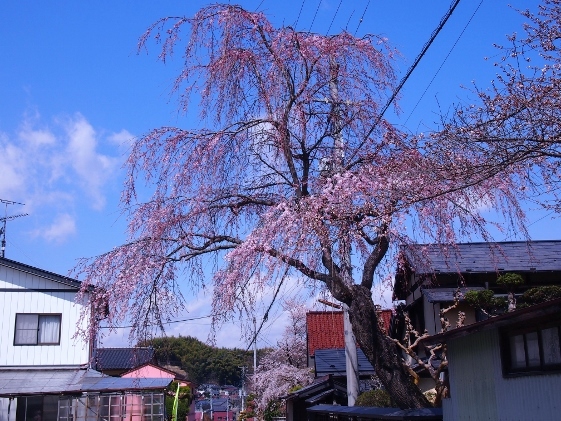 Many red weeping cherry trees could be found all around Miharu Town. Some of them had nickname of its own, and the others did not have. Some examples are shown below. 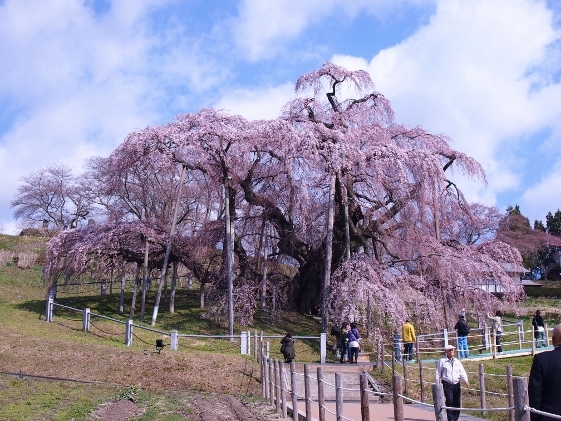 The cherry tree shown above had been called "Cherry tree of Fukujuji". It had a great appearance of 400 years old. 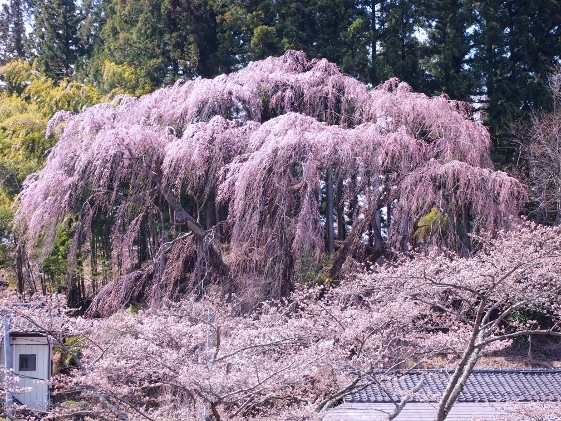 The cherry tree shown above had been called "Cherry tree of relief". This tree stood in the same street as the one above mentioned. 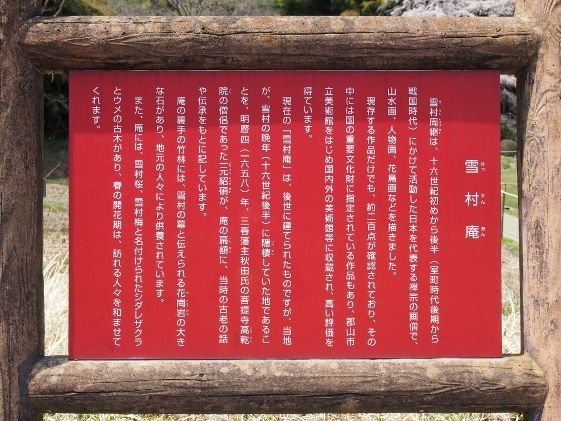 The picture above shows a nameless weeping cherry tree which stood on the way to the hill of dogtooth violet field. 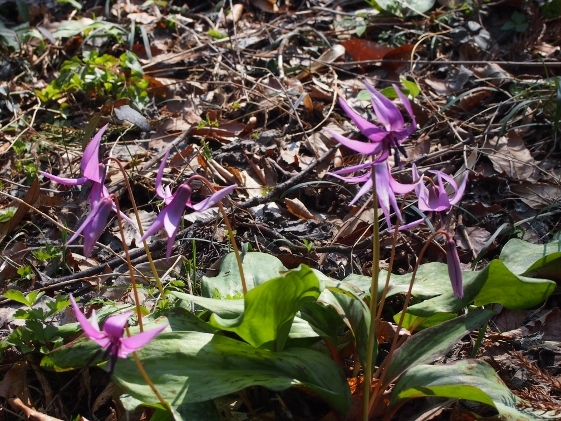 In Yamada district located in the western part of Miharu Town and in the hill area beside the National Route 288, there was a field of dogtooth violets. They filled the slope of woods all over and the sight was a spectacle. 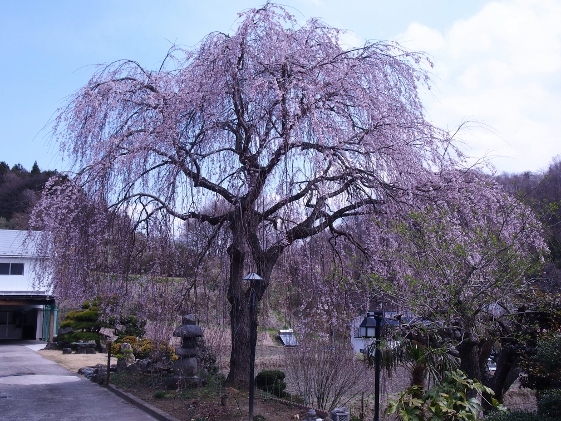 The pictures shown above are of Sessonzakura which meant "Cherry tree of Sesson". 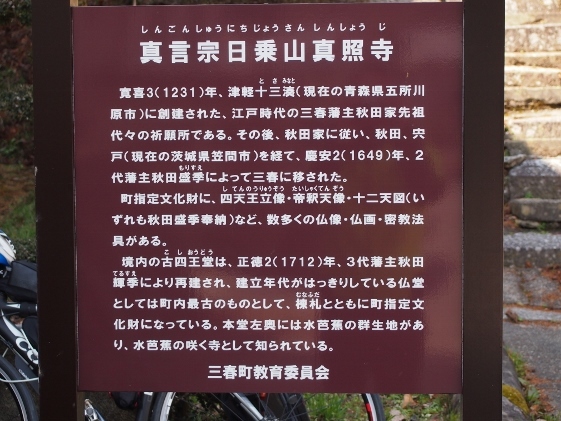 The tree was named after Sesson who had lived at the site in the 16th Century and who had been an artist and monk. The tree just started to bloom. 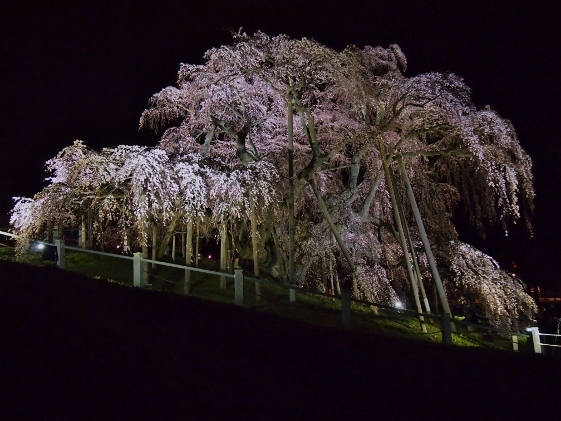 At last, pictures are shown above of the lighted view of the Miharu Takizakura. 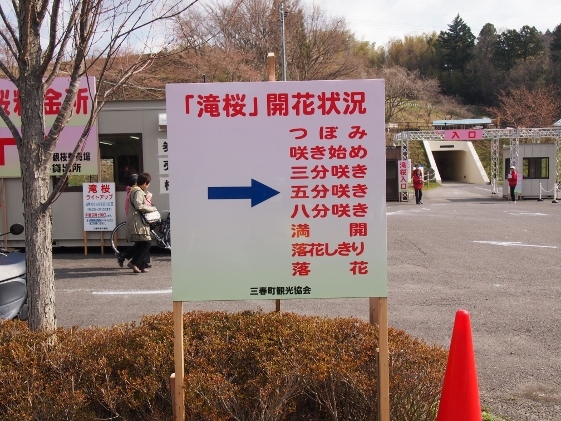 The Inn I stayed which was Denenseikatsukan Inn offered free ride to Takizakura and back at night.